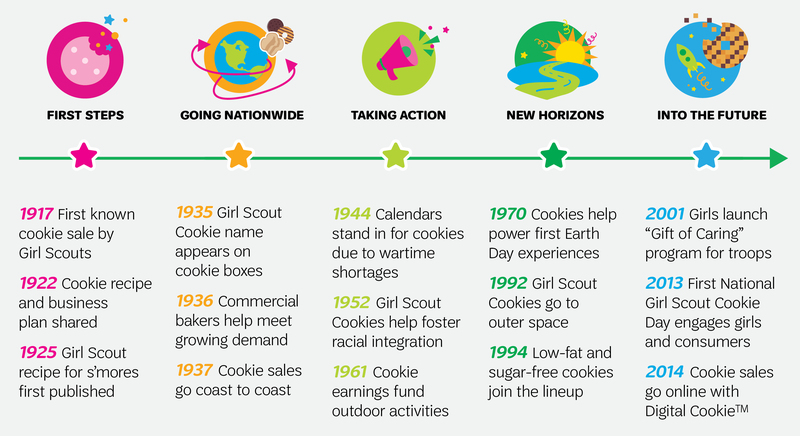 Fast forward to today, when more than a million amazing girls will sell hundreds of millions of packages of Girl Scout Cookies to support their mission of making the world a better place. But there’s more work to be done—and more amazing experiences to be had—and we need everyone’s involvement! You can help the next generation of girls fulfill their dreams and change the world by finding cookies near you now. With every package of Girl Scout Cookies you buy this year, you help support tomorrow's courage-boosting, confidence-inspiring, character-building, make-the-world-a-better-place experiences.